“In the past year, three Pizza Ranch locations have been working with the Testo 270 to test this product and have come to love its ease of use. 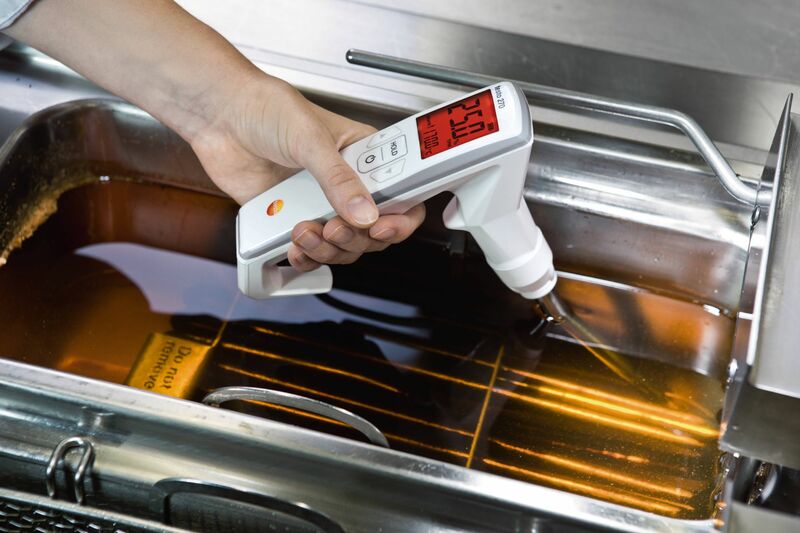 The Testo 270 has proven to be a tool that gives a consistent measurement on the quality of our frying oil and when to discard it. 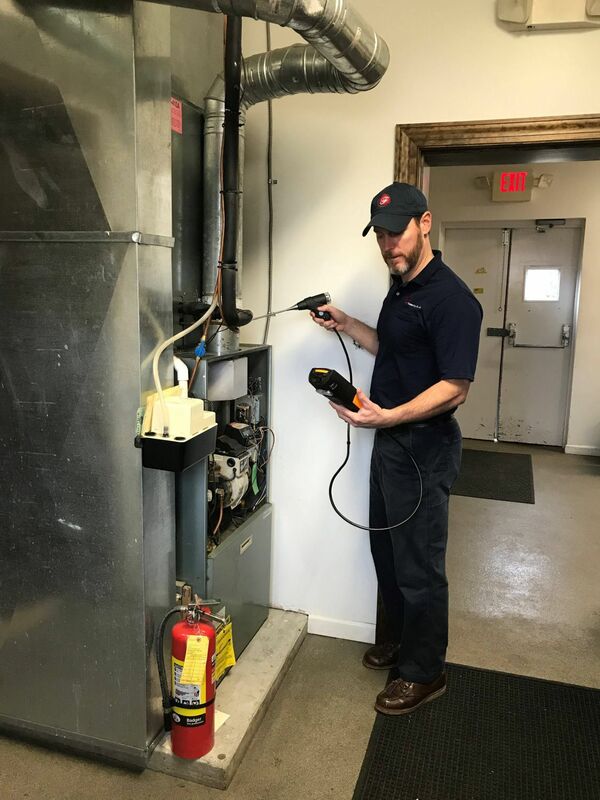 Instead of relying on inaccurate test strips or team members’ opinions regarding when to discard and change oil, the Testo 270 provides an instant and accurate reading of remaining oil life,” said Chris Anderson, Profitability Project Manager at Pizza Ranch. Two and a half years after the Hull Pizza Ranch opened Adrie received an inquiry from a businessman in Mountain Lake, Minnesota, wanting to know if Adrie was interested in franchising his concept. As it turns out, the answer was yes and the first Pizza Ranch franchise was born in 1984. Today, with more than 200 franchised locations in thirteen states, Pizza Ranch is the largest, most recognized pizza chain in the Midwest—and showing no signs of slowing any time soon. In addition to the legendary buffet and customer first mindset, much of the credit for success of Pizza Ranch can be traced to a rock-solid foundation built upon Adrie’s father’s original “pay it forward” attitude. “Testo is exactly right for my application because it provides easier mobility and accurate measurements at the same time. All of the products (smart probes) Testo provides communicate with one application making it easier for a technician to acquire all of the data within one program. I implement my testo tools at every service call/maintenance. 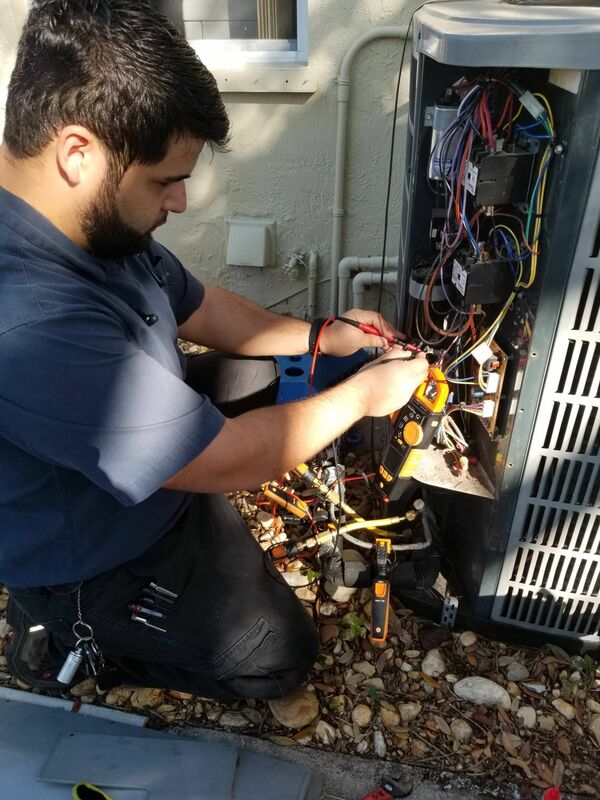 From measuring Refrigerant Pressures and Line Temps to using the Multimeter 770-3 for electrical readings like amps and voltage,” said Anthony Suau, HVAC technician from Dade Super Cool. Based in Florida, Dade Super Cool, Inc. was established in 1984 and is a family based business servicing Florida for over 25 years. Dade Super Cool Air Conditioning specializes in the installation, service and repair of heating and air conditioning systems and the improvement of indoor air quality for residential, commercial and industrial projects throughout the state of Florida. Clients include medical facilities, restaurants, clothing stores, historic renovations, and commercial organizations. “Some of the most important and rewarding work during my career has been servicing the local churches and honestly, working on my own home, knowing that I am keeping my community and wife and children safe. I know that the data collection on the testo 320 is reliable and I feel confident that the measurements are accurate,” said Jon Ferro. Ferro Fuel Oil, Inc. is Delaware County’s leading fuel oil delivery, heating, and air conditioning company. 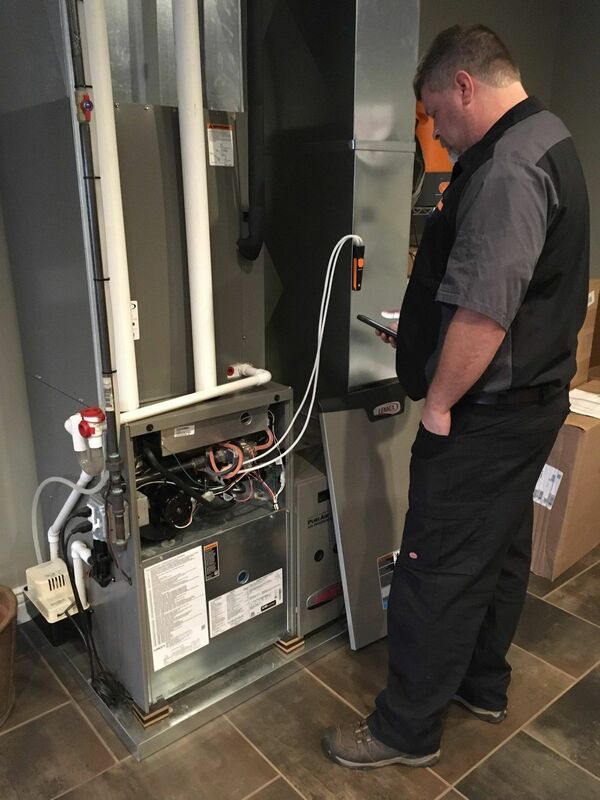 Family-owned and operated in Boothwyn, PA, their full-service offerings include high-efficiency heating system installations and air conditioning installations; boiler, furnace, and water heater service; air conditioning repairs; and more. 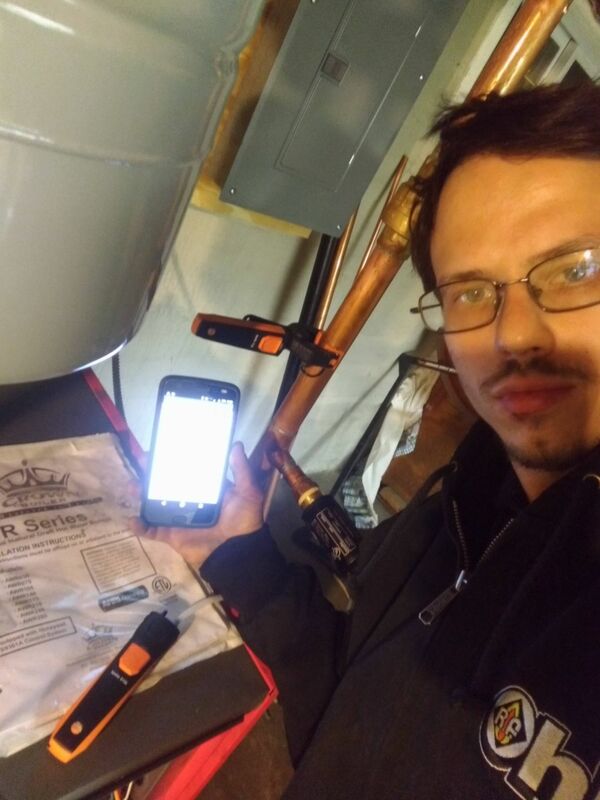 “I have been making YouTube and social media videos for years on all kinds of HVAC equipment and have always used handheld instrumentation for measuring airflow. After starting Rardon Home Performance I pledged to only test and use the more dependable and reliable instruments on the market. The Testo 420 air flow capture hood has lived up to that standard. The versatility of the instrument is hard to describe unless you are holding the instrument in your hands. Once you pick this thing up and hold it up to a register, you realize how light and effortless it is. I plan on ordering the 420 stand so I can make good use of the Bluetooth connectivity. 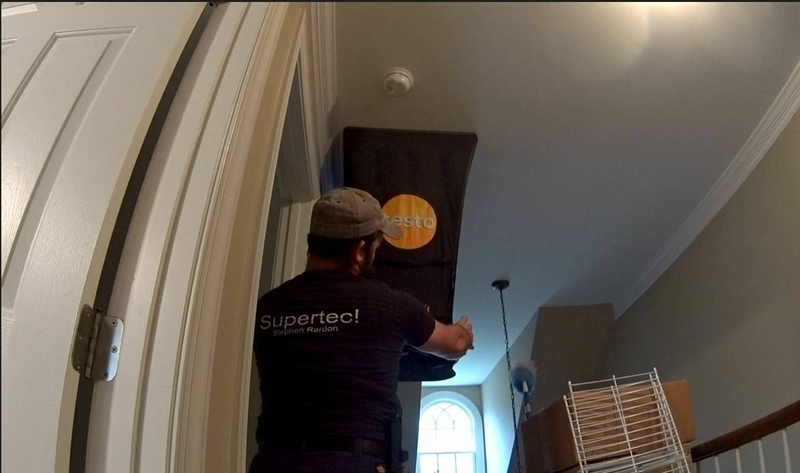 As air balancing becomes more important, specifically in residential applications, the 420 flow hood will continue to be put to good use,” says Stephen Rardon, owner of Rardon Home Performance. Rardon Home Performance services Holly Springs, North Carolina and the surrounding areas. Rardon Home Performance, LLC is a reliable and professional solution for universal HVAC repair, installation and maintenance needs. Rardon Home Performance has more than 18 years of industry experience, so you can rest assured we’ve seen it all. From helicopters to chillers, working as an HVAC technician for the United State Coast Guard is an honor and privilege. After having the opportunity to test the testo 760-3 digital multimeter, the features truly do surpass my old Fluke by far! 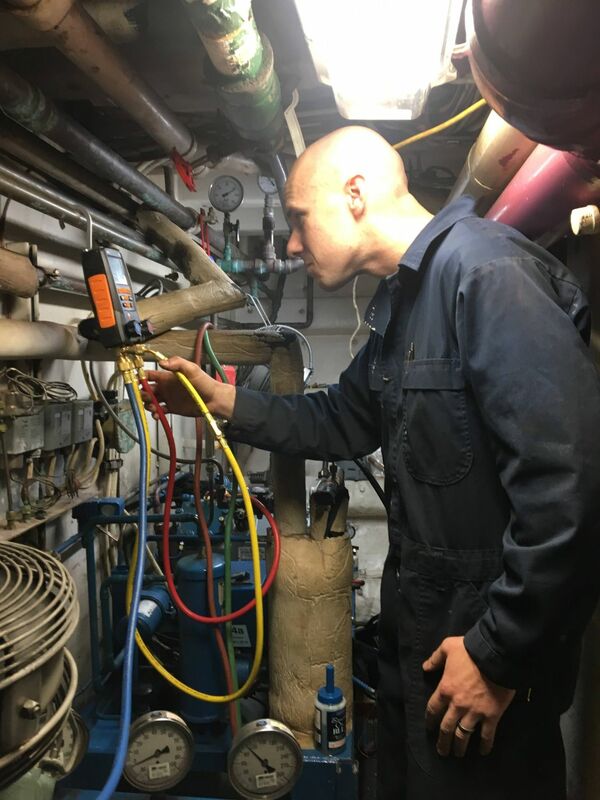 I have been using the meter daily on the marine environment and use it for a variety of tasks including measuring resistance, line voltage, and continuity whether I am checking resistance on helicopter refueling hose, water pumps, voltage on reach-in's and defrost timers, chiller water pump's, 25 ton and 1.5 ton compressors. I am very pleased with the quality of the testo 760-3. I was hesitant to try something new but the after some time with the meter it clearly is saving time and increasing my efficiency. The auto-test setup which jumps from Volts to Amps automatically is a great feature and along with the testo 550 I use for checking pressures and temperatures, they are the total 1-2 punch. Also, with a measurement range up to 1,000 volts, I'm armed with a meter that can handle some of the very large equipment I work on. The United States Coast Guard is a branch of the United States Armed Forces and one of the country's seven uniformed services. The Coast Guard is a maritime, military, multi-mission service unique among the U.S. military branches for having a maritime law enforcement mission and a federal regulatory agency mission as part of its mission set. Easton Climate Control provides residential climate control and comfort in Guelph, Ontario, Canada and surrounding areas. Whether its heating, cooling, hot water, or indoor air quality, Easton has the repair, maintenance, and installation services to meet your needs. CTI Mechanical Contractors is a family-owned, community-supporting business with licensed, insured, and experienced technicians to provide premium heating and cooling systems that help save you energy and maintenance cost for years to come. CTI is a proud member of the Better Business Bureau, the Battle Creek Chamber of Commerce, and the Battle Creek Area Association of Realtors and holds numerous licenses and certifications from the State of Michigan, the EPA (Environmental Protection Agency), NATE (North American Technician Excellence) for service and installation, AC/C Tech, International Ground Source Heat Pump Association, as well as from numerous manufacturers. I have had the pleasure to test and use the testo 770-3 as my primary electrical meter for some time now as president of Aeroseal of Peoria and am still learning all the functionality, especially when it comes to the Bluetooth and app capability. Being in the HVAC performance testing business, taking measurements and recording them if often difficult in different parts of the home, but I am able hook up the testo 770-3 clamp meter in one part of the house while monitoring them via my smart probe in another. I also have some of the testo smart probes with app connectivity which also add to the efficiency of my work. My best memory while using my testo equipment took place at a popcorn factory we had to adjust the air flow from keeping popcorn from drying out and providing flow control for packaging they had popcorn flying all over the place when I got there. What a mess! All in all, the app connectivity, free Bluetooth, inrush measurement, and power factory make the testo 770-3 the only electrical meter than I now carry in my bag. AeroSeal and AeroBerrier is a first of its kind, cutting-edge envelope sealing technology for commercial, residential and multi-family applications with tested and proven results. As president of General Heating and Mechanical in Duluth, Minnesota I need to be armed to work on booth heating and cooling systems. For years I have trusted testo and only testo when it comes to combustion analysis and now do the same on the air conditioning side with the testo 557. The ease of use and reliable is top notch especially the automatic calculations of superheat and subcooling on the fly. As I am adding or removing refrigeration I can see the SH and SC values change automatically which allows me to work faster than ever before. For close to 15 years I have trusted testo for HVAC instrumentation and the list of testo meters myself and my team has continues to grow because I trust in the quality and reliability of testo. I have no doubt that the measurement values are spot on and I can move from job to job with the assurance that my customers systems are working at top efficiency. 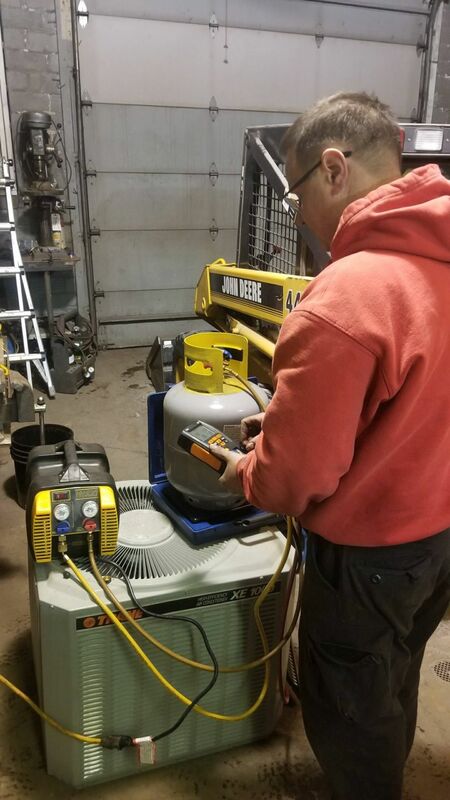 General Heating and Mechanical Co. is an owner operated business that has been around since 1954 serving St. Louis County, specializing in heating and maintenance services, whether it be commercial or residential. Jorge Martinez - testo 420 - Expert Air Conditioning, LLC. Given the features the Testo 420 Flow Hood Kit has, previous challenges are irrelevant now. If the tri-pod stand is used, it becomes the easiest way to measure airflow, period. I will be purchasing the tri-pod stand along with other accessories for it soon. 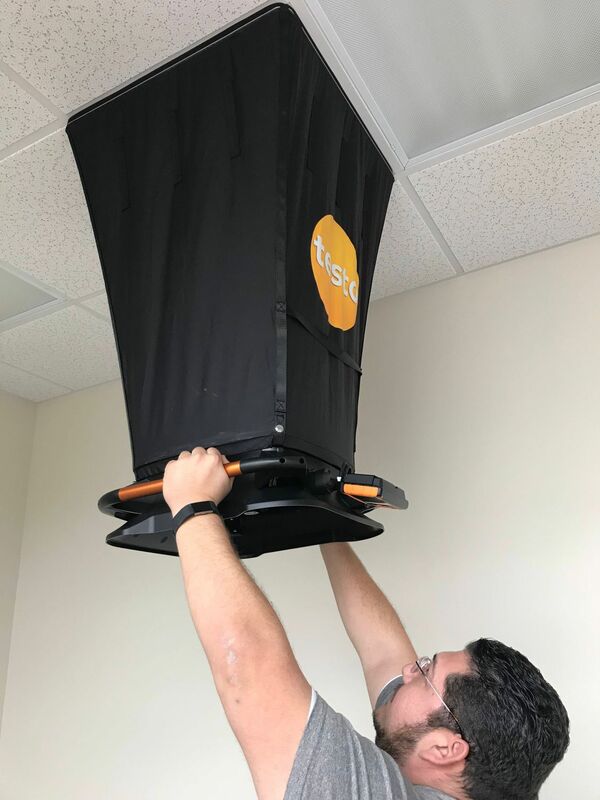 We tried the Testo 420 Flow Hood Kit in a new commercial building where we just finished working on the complete installation, and the general contractor was impressed when he saw us measuring the airflow and tweaking dampers. When it comes to testo, I find the strengths to be on the quality and technology. The Bluetooth capabilities it has are great and a must to save data in a more appropriate and easier manner. Compared to other air flow instruments I have used, I liked the Testo 420 Flow Hood Kit the most because of how easy it is to set up, the light weight to carry around a building, and the features such as Bluetooth connection to an app on the phone. Expert Air Conditioning, LLC specializes in all residential and light commercial air conditioning and heating services. They provide repair, service, installation, and routine annual maintenance in the entire Rio Grande Valley. They also provide new installations which include mini split systems and can improve your indoor air quality and improve energy efficiency. 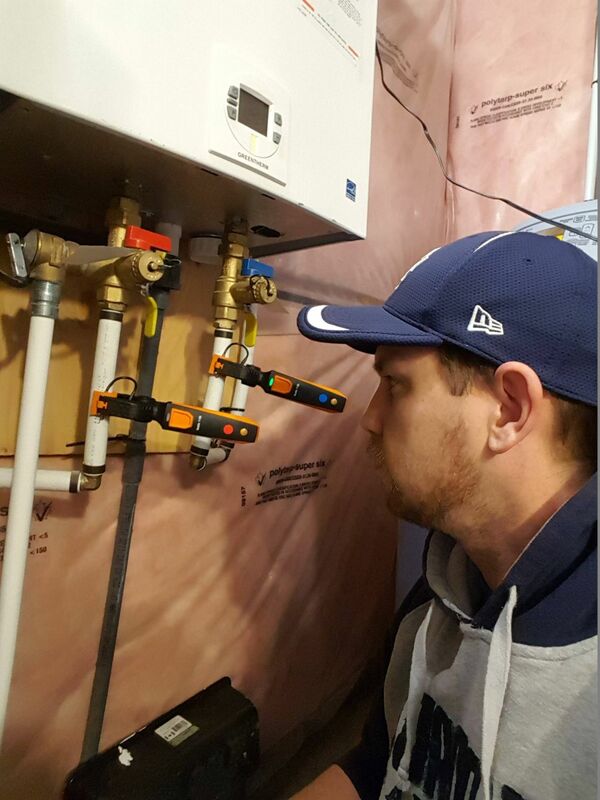 Using the testo smart probes heating set for the first time was an experience. After just a few days or use, I was able to eliminate 3 other tools from my bag which, to a tech who is walking around all day, is an absolute blessing. Sometimes carrying a horde of tools can be extremely daunting, its nice to be able to carry more compact tools with even more functionality than the ones I was using previously. The ease of use to the testo smart probes app which is free is amazing and allows me to log all the date directly to my phone and save it all in the same breath. I own a set of Testo 550 Refrigeration gages that I've had for a few years now. Testo is right for me because I can be assured of the instruments calibration and reliability. This is one of the reasons why I want to adapt all my instruments to the Testo brand. I never want to second guess myself because of my readings. Also, the Bluetooth range is fantastic, I can literally be 2 floors up and still have a signal to the instruments. R.F. Ohl has been a family-owned and operated business in Northeast Pennsylvania since 1984. The business has grown from fuel oil and kerosene delivery to include an air conditioning and heat pump service and installation department. Services also include a propane (LP) filling station, propane delivery, sales and services.